Introducing VetShopAustralia.com.au’s newest product: the Jumbo Lint Roller now in stock! Pets shed their winter coat at the start of summer and this can become quite a hairy situation for many pet owners. 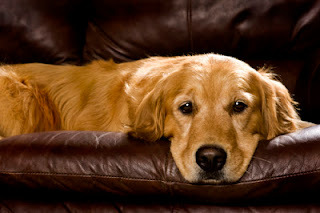 Pet hair often seems to spread far and wide covering everything including your clothes, couch, car seats, carpet and furniture. Luckily at VetShopAustralia.com.au we have the solution: Frequent use of the Jumbo Lint Roller will keep you and your home, free from pet hair. The Jumbo Lint Roller is made from super sticky, high strength adhesive tape to remove stubborn pet hair from all types of material. Grasping the handle, simply peel off the cover sheet to reveal the adhesive layer beneath. Then, roll the Jumbo Lint Roller back and forth on various fabric surfaces to keep your home free from malting pet hair! The Jumbo Lint Roller’s white paper tape enables you to clearly see the hair, lint and fluff that have been lifted from the garment or furniture exterior. You can continue to use the Lint Roller until the tape is full of debris or no longer sticky. Then, simply peel off the end of the tape roll and tear away to reveal the next adhesive layer. There are 120 layers per pack. Give your work clothes a quick roll-over to remove pet hair before heading to the office. After a trip in the car, use the lint roller to remove excess hair from the backseat. To avoid a backside covered in fluff, wipe down the couch cushions with the Jumbo Lint Roller before sitting down. Use the Jumbo Lint Roller on carpeted walkways frequented by your pet, in the home. Buy a Jumbo Lint Roller from VetShopAustralia.com.au now to keep your home free from pet hair this summer!